Evidence-Based Management is a framework organizations can use to help them measure, manage, and increase the value they derive from their product delivery. EBM focuses on improving outcomes, reducing risks, and optimizing investments. It is developed and sustained by Ken Schwaber and Scrum.org. Agile organizations know that frequent inspection of results limits risk and improves the ability to deliver value. Their leaders manage investments based on ROI and value. At the same time, they work to influence the organization to create an adaptive culture that allows it to take advantage of opportunities before their competitors do. Evidence-Based Management helps organizations put their right measures in place to invest in the right places, make smarter decisions and reduce risk using an iterative and incremental approach. This empirical method alongside the agile principles and values enables successful steps of change for the organization. Organizations invest in agile processes, tools, training, and coaching, but how much are they getting back? Has product delivery improved? How much happier are customers? Are employees satisfied and enabled? Traditional metrics might give you insight into improvements of operational efficiency but the more important conversation is about improving your ability to create value for your customers and stakeholders. EBM looks at 4 Key Value Areas. 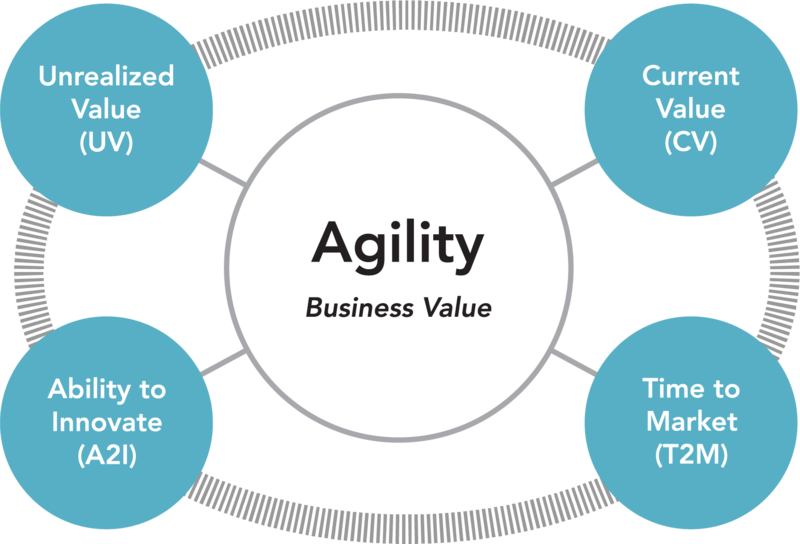 Defined measures will vary by organization, but all 4 areas contribute to an organization’s ability to deliver business value. KVA goals and example measures for each area are further defined in the EBM Guide. Embracing agile ways of working, such as iterative development, continuous integration, and test-driven development are only the first steps of an organization’s ability to deliver high quality software to its customers. Optimizing value delivery requires integrating the work of multiple Scrum Teams and ensuring that the entire organization can absorb the frequent product innovations coming from those teams. The key to understanding results and measures is in the ability to inspect and adapt based off that information. Examining the 4 Key Value Areas in EBM will help shine a light on an organization’s capabilities and product delivery practices. It drives the ability to make informed and evidence-based decisions for organizational learning and continuous improvement. Creating a culture of continuous improvement puts organizations on the path to competitive advantage.